Shinichi Chiaki is a first class musician whose dream is to play among the elites in Europe. Coming from a distinguished family, he is an infamous perfectionist; not only is he highly critical of himself, but of others as well. The only thing stopping Chiaki from leaving for Europe is his fear of flying. As a result, he's grounded in Japan. During his 4th year at Japan's top music university, Chiaki happens to meet Noda Megumi; or as she refers to herself, Nodame. On the surface, she seems to be an unkempt girl with no direction in life. 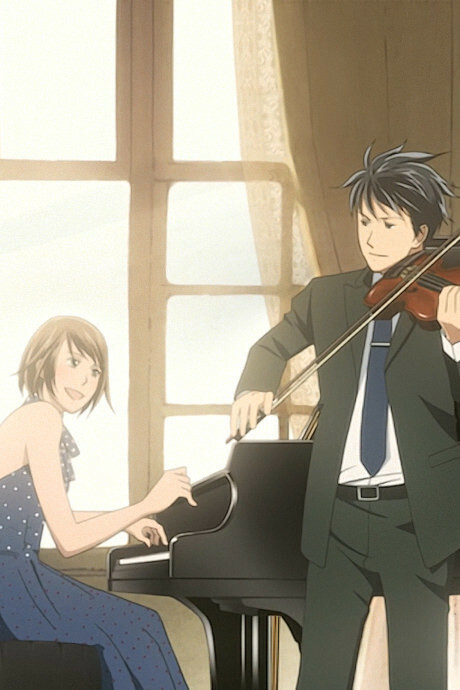 However, when Chiaki hears Nodame play the piano for the first time, he is in awe at the kind of music she plays. To Chiaki's dismay, Nodame moves into the apartment next to his and finds out that she is head over heels in love with him. Nodame Cantabile tells the story of Chiaki and Nodame, as they not only learn to deal with each other, but learn lessons from one another as they strive for the top of the musical world. A quirky, if uneven lesson about expectations.